Looking to start, expand or adjust your rug portfolio? 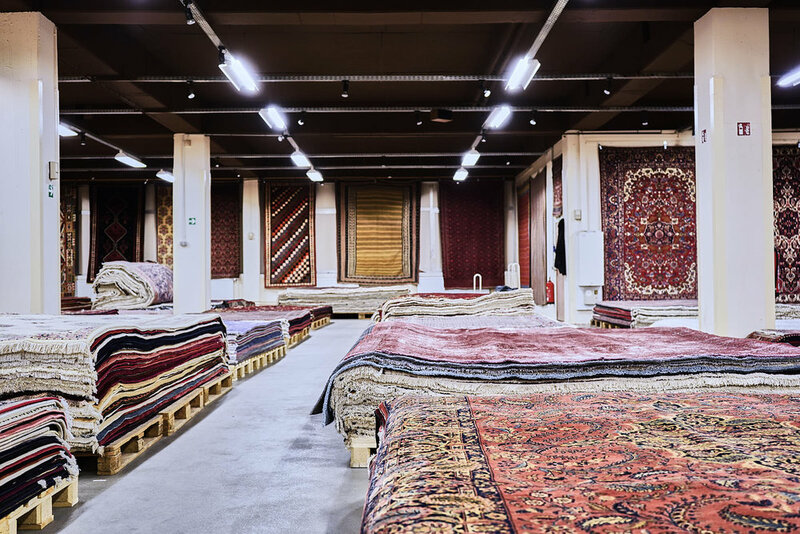 We’re happy to consult you on any need with our experienced knowledge of Persian rugs. You can’t put a cost on quality. We carefully select each rug to meet to our standards, implying the best quality in material, craftmanship, design, color and heritage. With our experience built from several generations, we know what makes a good rug and where to find it. Every single piece passes our own washing process, repair service and quality control. We stock over 50.000 rugs from Iran, from antique to new, which means we can react fast on any request. This includes rugs from the smallest size up to oversized, all price classes and qualities. All rugs are ready to supply from Hamburg on your demand. However we also have the possibility to provide you with any other rug from the country of origin. From extremely fine designed Persian city rugs such as Isfahan, Tabriz or Nain, to colorful tribal rugs such as Gashghai, Gabbeh, Loribaf or Afshar, or flatweaves such as Kelim or Sumak, our aim is to fulfill any wish or need with our full assortment. Through our valuable, well established and long lasting supplier relations based all over Iran, we hold the possibility to react to any restock planning in a short time span.